Over the last few weeks, I’ve been listening to an American podcast on minimalism by Josh Millburn and Ryan Nicodemus, a.k.a. The Minimalists. And I picked up these great 5 tips on how to declutter your house. Now, I probably don’t have the aspiration of becoming a minimalist, but I certainly have a wish (and somehow a need) to have less clutter in our home! So their definition of minimalism really appeals to me: “Minimalism is a lifestyle that helps people question what things add value to their lives. By clearing the clutter from life’s path, we can all make room for the most important aspects of life: health, relationships, passion, growth, and contribution.” – The Minimalists. If this sounds good to you too, and if you also like listening to podcasts when you’re commuting to work or doing boring chores at home, I can definitely recommend The Minimalists’ podcast. 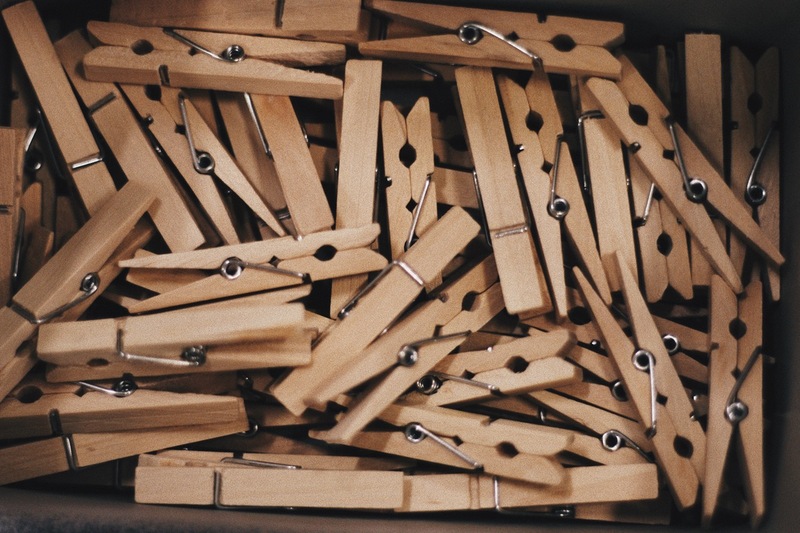 As I recently discovered when talking to Professional Declutterer and Organiser Zoe, people declutter for a range of different reasons. They might need to declutter because they are moving or have just moved, or just need to make space for a new baby or a home office. Or you have people like me, who after so many years spent working outside the home, they finally find themselves with more time on their hands to finally notice what’s going on at home and aren’t happy with all the clutter accumulated over the years! So ask yourself a few questions before you get started. How will you be better off with less? What are the benefits for you and your family? What is a less cluttered and more organised space going to give you? More space? More time? A different lifestyle? It may sound like a waste of time, but when you start looking through stuff and find that you can’t let go of 90% of the things you owe, going back to why you’re doing it will definitely help you make quicker decisions. Without even realising what I was doing, a few months ago when I started my own decluttering mission, I ended up inspiring a friend to start doing the same. We don’t get together and do it. Each of us will tackle their own houses whenever we can, but we’ve certainly been keeping each other inspired. We send each other ‘before and after’ photos or simply take a photo of all the ‘stuff’ that’s on its way out to the charity shop or the recycling centre. And it feels really good. Plus, when I get a photo from my friend, if I haven’t thrown anything away in a while, I feel like I have to catch up! The Minimalists suggest to pair up with a friend and do their 30-day minimalism game. The idea is that you start on the 1st of the month, and you get rid of one item. On the 2nd, you get rid of 2 items. On the 3rd, of 3 items. And you carry on like this until on the 30th day of the month, you have to get rid of 30 items. Now that sounds like a lot, right? And it is! If you stick to this, at the end of the month, a whopping 500 items will have left your house! How amazing would that be?? I started this on the 1st of June (2017), and I’ll let you know how I get on! What’s a packing party? The idea here is that you pack your things as if you were going to move. A few days later you only unpack the things that you need over the next 21 days. You can extend this to a longer period, if you like, but if you haven’t used something that had been packed away in 21 days, do you really need it? You can do this with anything – a drawer, a cupboard or an entire room. Incidentally (and before I even discovered the podcast) I did this a few weeks ago when we had some of our windows replaced. I had to clear out space for the builders to work, so I packed everything away and out of the rooms they needed access to. And guess what? A good 3 weeks in, I haven’t gone back to look at lot of those things. They’re still packed in the garage. What does this tell me? Why were these things there in the first place?! And while all that ‘stuff’ is still stored away, I’m enjoying my clutter-free space! This is a clear sign that whatever is in there has to be on its way out. The Minimalists have a few rules they swear by, and here are 2 of their rules that really stood out for me. The 20/20 rule for the items that you keep ‘just in case’. So if you can replace a particular item (one that you keep ‘just in case’) for less than $20 and in less than 20 minutes, then you can give yourself permission to let that item go. What comes to mind for me here is the big pot you can cook food for about 10 people in. You know, you keep it ‘just in case’ you throw a big dinner party… When in reality, we probably used it once in the last 10 years! The 90/90 rule. Ask yourself whether you’ve used this item in the last 90 days. And will you use it in the next 90? Again, you can change the time to whatever time period suits you (6 months or even one year). But it’s great to ask yourself the question, and give yourself permission to let go of the things you’re not using. I like this quote from them: “The easiest way to organise your stuff is to get rid of most of it.” Isn’t it true? I’ve noticed this quite a bit during my ‘packing party’ (when we had work done at home). I was moving clutter from one place to the next. I had to clean it, move it/pack it/cover it and then put it back. Why? Why, when some of those things didn’t even need to be there in the first place? Ask yourself whether an item serves its purpose where it is. Would it make more sense/would it be easier to find it if it was somewhere else? This made me realise that a lot of the stuff we had on our window sills, for example, was just put there ‘temporarily’. And then left there for years! No point. So it’s intuitive really – if you have less it’ll be a lot easier and quicker to organise your things. And that frees you up a bit more, so you can do something that you actually want to do instead! What about you? Will you be implementing some of these tips? Do you have any advice to share that can help us build momentum in our decluttering and reorganising journey? Previous Post Did you know you could hire a professional to help you declutter and organise your life? Next Post What keeps you awake at night with worry? I can so relate to that Bread! I feel I have done so much and yet I want to do SO much more!!! I love decluttering and I like the idea of clearing away 1 thing then two. it seems more manageable! Thanks so much for linking up at #KCACOLS. Hope you come back again next time! emma me and b make tea recently posted…Top Things to do off the M5 Motorway – Junctions 16 and 24! I wish my other half was obsessed with clearing out things!!! It’d be SO much easier for me to do! 🙂 Sounds great! Hope it works! It’s hard when other people are not on board! The mess really does bother you, doesn’t it? I know it bothers me, and I hate that it doesn’t bother anyone else at home! We all are!!! Good luck with it all! Wow! Very informative tips. Thanks for sharing this with us! Been planning to do declutter my house as well but my husband isn’t around yet due to work. Keep up the great work! Thank you Kathleen – good luck with the decluttering! It takes time! Thanks for these great tips! The 20/20 rule seems very good for me! It’s been a pain for me to maintain cleanliness in our home due to the many trinkets my husband brings home on his fishing trips. It’s gotten so bad that his office itself looks like a souvenir shop. This is always a great topic, Sara. Sometimes it doesn’t hit us until we move and have to see the consequences of building up too much junk – that’s how it worked for me. I realized there’s actually so little I really need and began to see the minimalist life is great. Besides, I’m a believer that a simpler life is a happier, more enjoyable life, too. The amount of “gadgets” and other things I’ve bought here and there really contributed to the problems, so I’ve been working on my personal habits, as well as sometimes trying to sell a lot of thing on eBay. When that doesn’t work, more often than not I give it away or donate to GoodWill, etc. The more time that passes without taking action the more easily we let things build up and become clutter. Hi Grant, I totally agree! We have been living in our house for nearly 9 years, and we’ve been accumulating ‘stuff’! As you say, you just get busy with life, and time passes without you taking action, so things really do build up! I’m glad you have found a way that works for you! Sounds great! Good luck with all that Latoya! When you have finished your “hit-list”, move the offending items to a designated collection point to get your room “clutter-free”!!! Great tip Matt – thanks for sharing!